Received as a gift in 1989. The scroll is approximately 22" x 66". Japanese friend; likely bought in Tokyo. Thank you for submitting your item for appraisal. 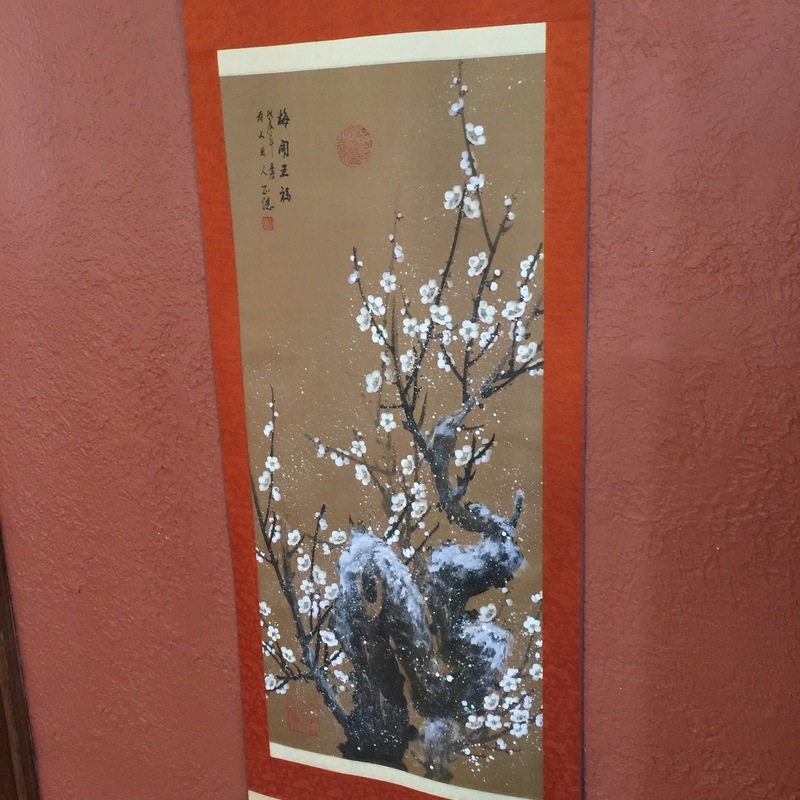 This appears to be a japanese showa period kakejiku or kakemono hanging scroll, depicting prunus blossoms in winter, with an artist seal 正德 below the calligraphy. These scrolls are being made for home decor and similar has been offered and sold at auction. The estimate is based on similar actually sold. There is no measurement for the sentimental value you might attach to the item.